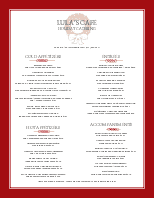 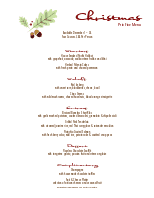 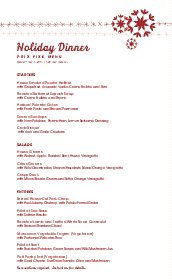 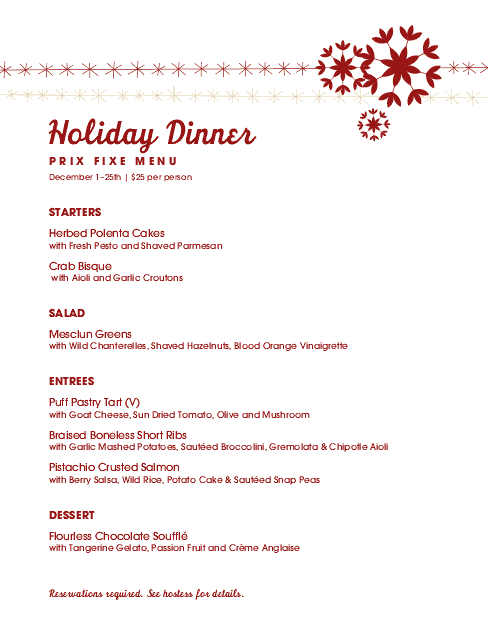 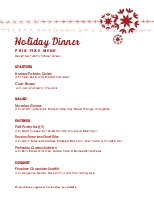 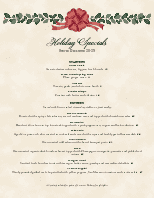 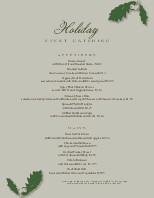 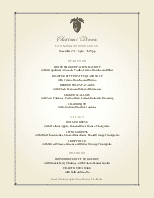 This prix fixe menu features a red snowflake motif reminiscent of Scandinavian style. Option run down the center in one large column. 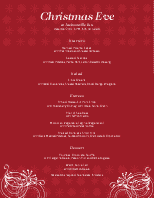 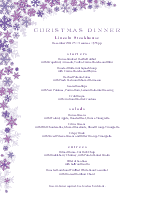 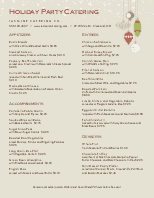 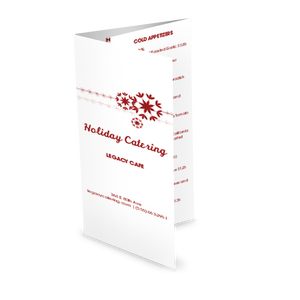 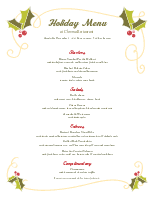 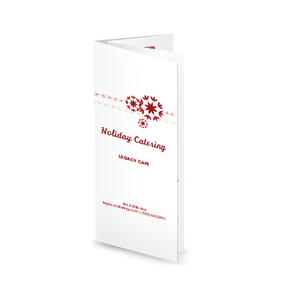 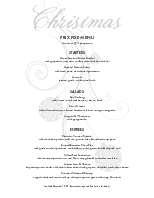 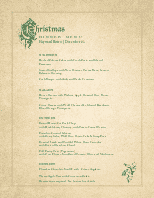 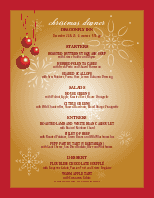 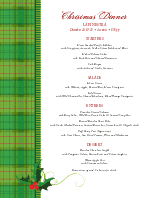 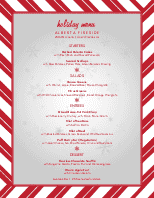 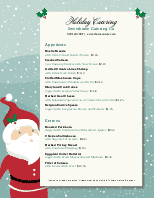 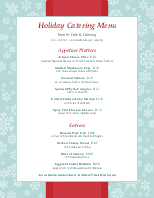 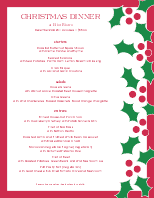 This Christmas menu can be fully customized using the online Menu Maker.